These Terms and Conditions (“the Agreement”) constitute a legally binding agreement between you (“you,” “your,” “user,” or “referrer”) and Penn Apartment Staffing LLC. (“Penn Apartment Staffing,” “we,” “us,” “our”), a Colorado LLC, governing your participation in the Penn Apartment Staffing Referral Program (the “Referral Program,” or “Program”). TO PARTICIPATE IN THE Penn Apartment Staffing REFERRAL PROGRAM, REFERRERS MUST READ AND AGREE TO THESE TERMS AND CONDITIONS. BY ACCESSING THIS WEBSITE AND PARTICIPATING IN THE REFERRAL PROGRAM, YOU AGREE TO BE BOUND BY THE TERMS AND CONDITIONS BELOW. 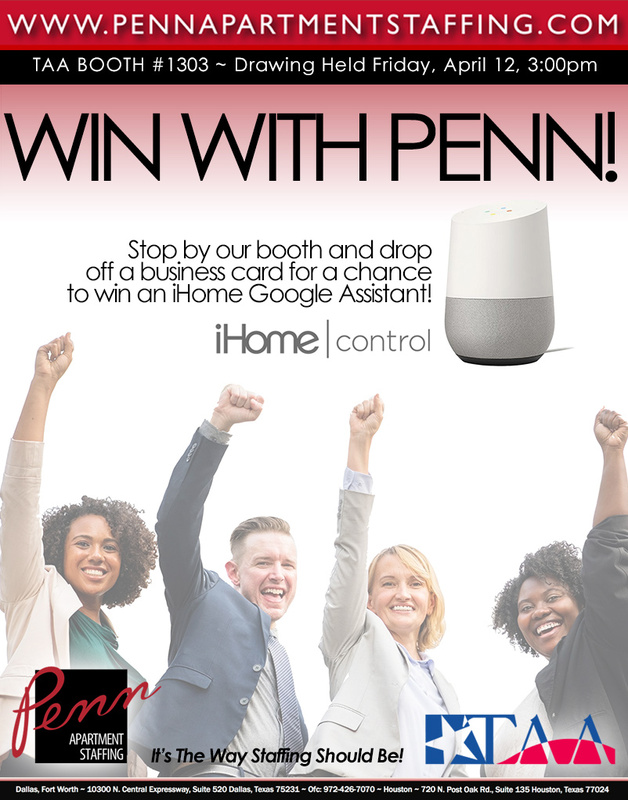 To participate and become eligible for a referral bonus, you must refer new users to Penn Apartment Staffing through www.pennapartmentstaffing.com/referral. Only new referrals to Penn Apartment Staffing (i.e., persons who have not applied to Penn Apartment Staffing previously and who have not been referred by another individual) who are at least 18 years old are eligible. New referrals are approved at the sole discretion of Penn Apartment Staffing and must be interviewed, hired, and begin their first day of employment within SIXTY (60) days to be eligible for any referral bonus. Referred applicants are also subject to all of the eligibility requirements mentioned in Penn Apartment Staffing’s General Terms and Conditions. To qualify, the referred person must: (1) be a new referral to Penn Apartment Staffing; (2) be a new applicant to Penn Apartment Staffing; (3) be contacted to begin the interview process; 4) receive an invitation to the in-person interview day; (4) receive a formal offer from one of Penn Apartment Staffing’s clients; (5) accept an offer for employment through Penn Apartment Staffing; and (6) begin employment with the respective employer. Referrals should only be used for personal and non-commercial purposes, and only shared with personal connections that will appreciate receiving the referral. Referrers may not refer anyone who is an existing Penn Apartment Staffing user, including those who have applied under an alternate e-mail or name, and may not spam or send unsolicited messages to individuals they do not personally know to collect referrals. You are not an agent or employee of Penn Apartment Staffing by participating in the Referral Program and you have no authority to bind the Company by contract or otherwise. Our failure to act with respect to a breach by you or others does not waive our right to act with respect to subsequent or similar breaches. This Agreement, along with any other incorporated by reference, sets forth the entire understanding and agreement between you and Penn Apartment Staffing with respect to the subject matter hereof. Sections titled, Updates to the Terms and Conditions, Termination and Change, Relationship of Parties, and General shall survive any termination or expiration of this Agreement. Penn Apartment Staffing may suspend or terminate the Referral Program or a user’s ability to participate in the Program at any time and for any reason. Requirements and incentives may also change at any time at the Company’s sole discretion. Any referral deemed to be a result of fraudulent activities is null and void. We reserve the right to suspend or remove referrals if we notice any activity that we believe is abusive or fraudulent. Penn Apartment Staffing also reserves the right to review and investigate all referral activities and to suspend, cancel, or modify referrals as we deem fair and appropriate. These Terms and Conditions are subject to change at any time and for any reason. Penn Apartment Staffing reserves the right to update these terms or its policies relating to the Referral Program at any time without prior notice. If we modify these terms, we will post the modification on www.pennapartmentstaffing.com and/or any other platforms we use (i.e. applications). These updates will be effective upon posting. It is the users’ responsibility to regularly check for updates to this Agreement. Continued participation in the Referral Program after any modification shall constitute consent to such modification. If the modified terms are not acceptable, the only recourse is to stop sending referrals or participating in the Referral Program.